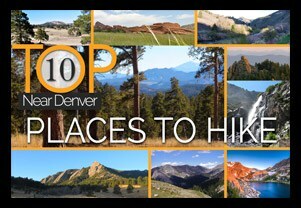 These hikes along Spruce Mountain near Larkspur, Colorado offer both expansive vista of Colorado’s rolling green hills and a unique view of Pikes Peak. 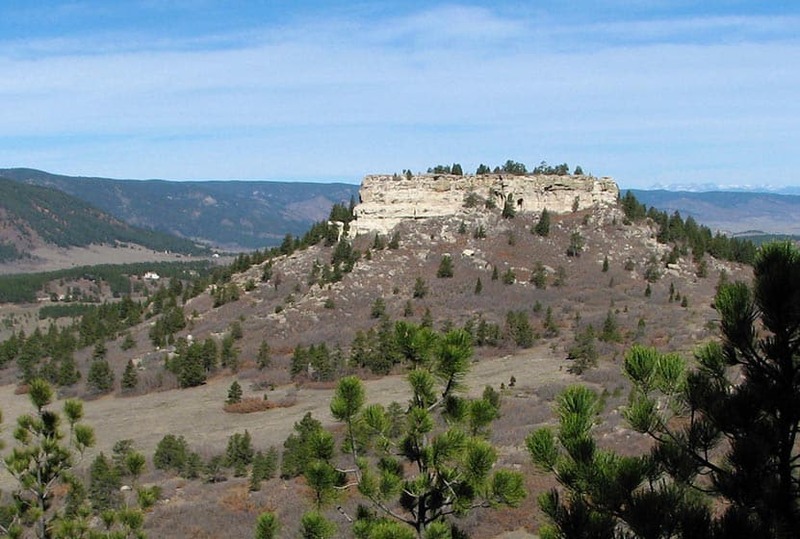 Spruce Mountain is a tall butte just 45 minutes south of Denver. This hiking trail follows the outer edge of the mountain giving you a great 360 degree view of the area. 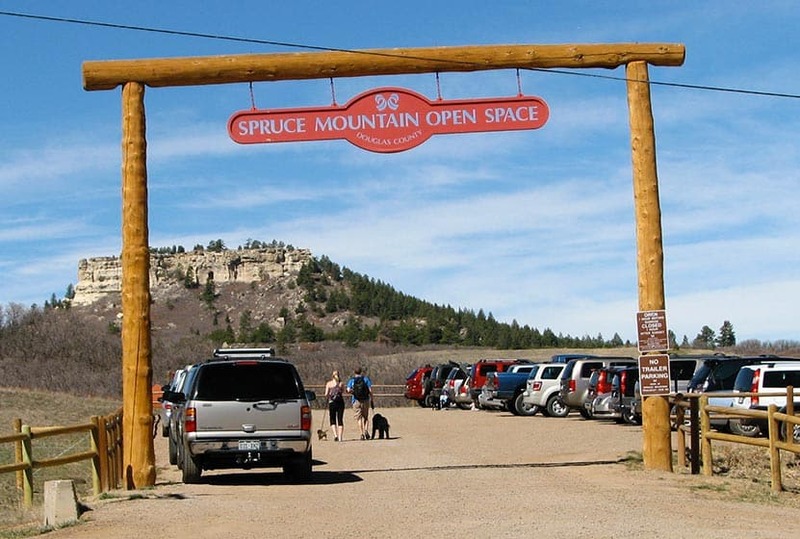 Check out the entire hike profile below to get acquainted with Spruce Mountain before you hike it. You’ll find links to trail maps, driving directions, and all the details you’ll need to strike out on this Colorado trail. We rated this as medium in difficulty because of the first segment, which climbs about 400′ in the space of about a quarter mile. After that that trail is relatively level. So, we’d put this on the easy side of medium. Because of that, this makes a great family hike close to Denver. But we’d highly recommend getting on the trail by 9am on the weekends (see the tips below). 1 – 1.5+ Mile Hike to the Greenland Overlook – (out and back) Take a left where the trail forks and head up to the overlook (about 3/4 mile). This is a great first option if you have children with you. The views of Pikes Peak may be the best in Douglas County, and you can see how the family is doing and decide whether or not you want to continue on the loop hike. 2 – 4+ Mile Spruce Mountain Loop Trail – Continue west on the trail making a loop around the top of Spruce Mountain. 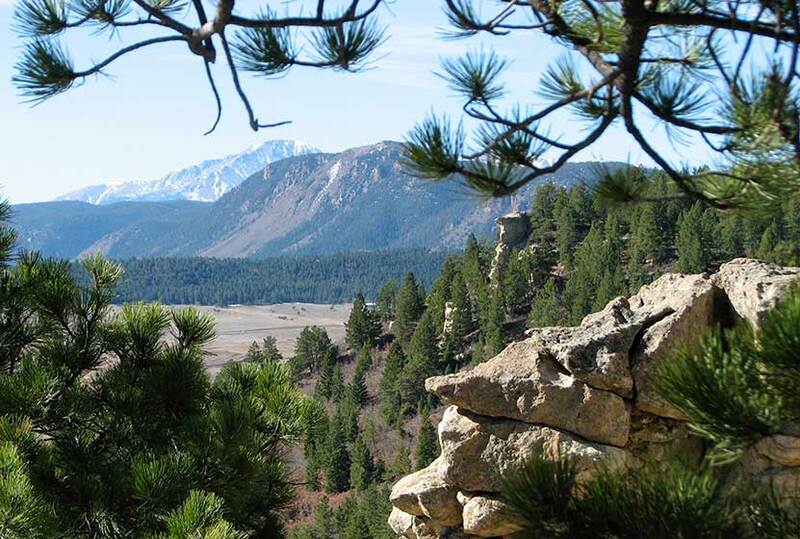 You’ll encounter fantastic views of Eagle Mountain, and the Windy Point overlook. Just a quick note that the service road may look like a shortcut back to the trailhead, but it’s not. It is an option though if you would like to hike the open meadows between Eagle and Spruce mountains. Speed Trap? We haven’t seen the lurking cop car, but their are all the makings of a good old speed trap in Larkspur. So, take it easy. Our guess is that when the Renaissance festival is in full swing that traffic will really back up. The first reason to go early, and to probably allow more than 45 minutes for the drive. Great For Fido: There were more dogs on this trail than we’ve seen on any other, probably because most of the hike is pretty level and shaded. However, it makes for a bit of a traffic jam at times. Third reason to go early. 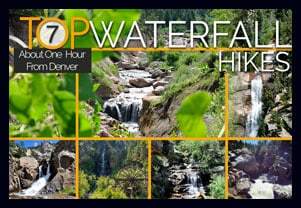 Great Hike For Visiting Friends and Family: This hike has a lot of bang for the buck, and once you are up the first mile it’s smooth sailing. 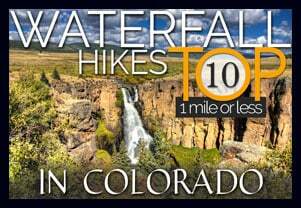 It would be a great place to take out of towners who may be looking for a less demanding hike.